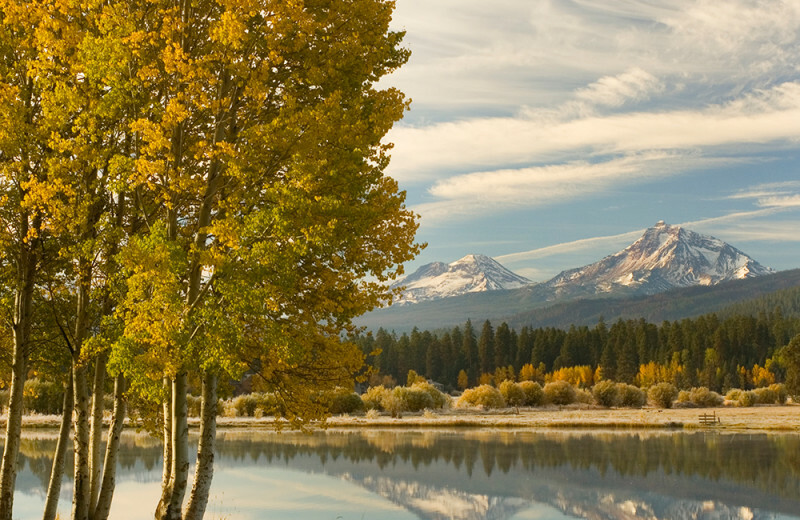 Escape to one of Central Oregon's most beautiful destinations! 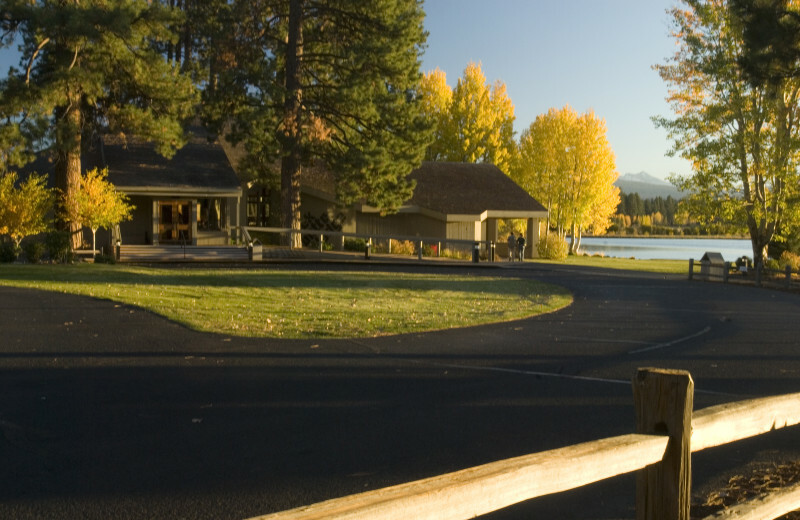 There is a place called Black Butte Ranch, where comfort is affordable and accessible. The ranch offers a variety of stunning vacation rentals – from hotel-style lodge rooms to condominiums to stunning vacation homes. 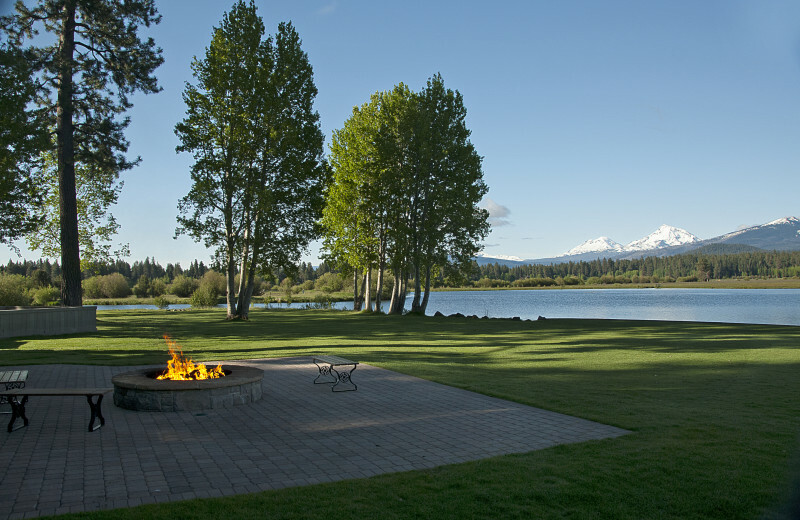 Once you're at Black Butte Ranch, you'll never have to leave the property. 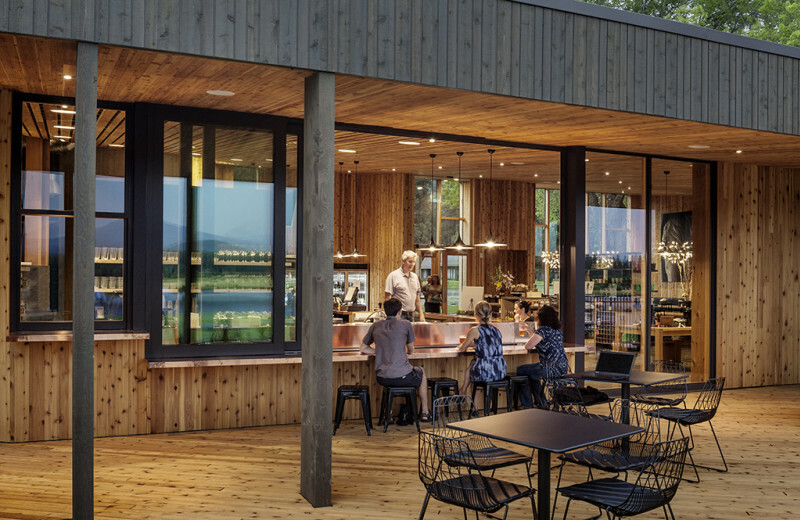 There's an onsite spa, recreation center, two championship golf courses, five swimming pools, plus more activities than you could ever imagine. And the dining is exceptional. 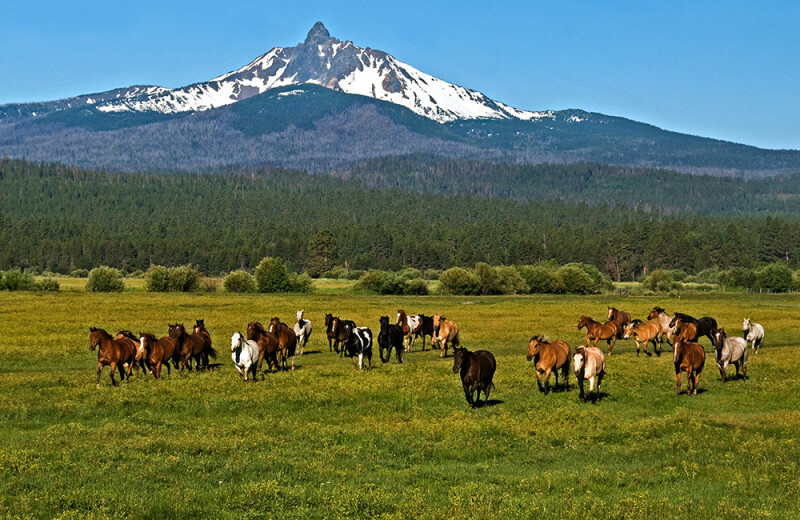 Black Butte Ranch's location gives guests the opportunity to explore the great outdoors in a variety of ways that include hiking, biking, and horseback riding. 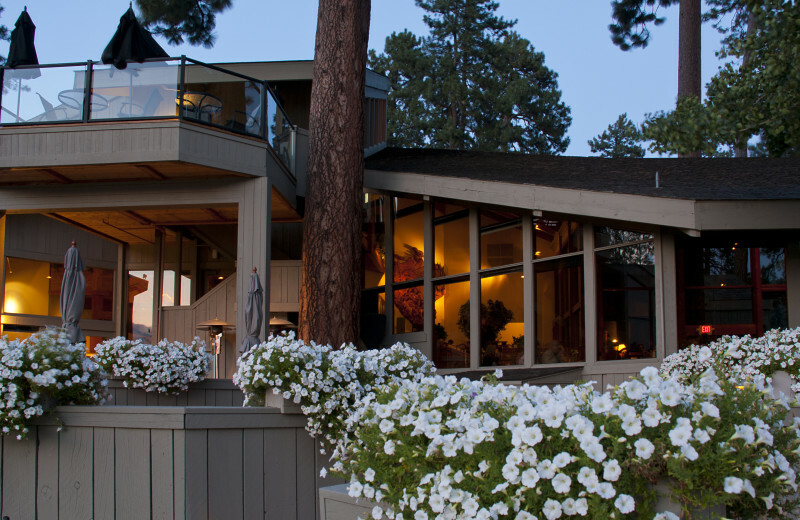 Make your escape and head to the magnificent Black Butte Ranch! 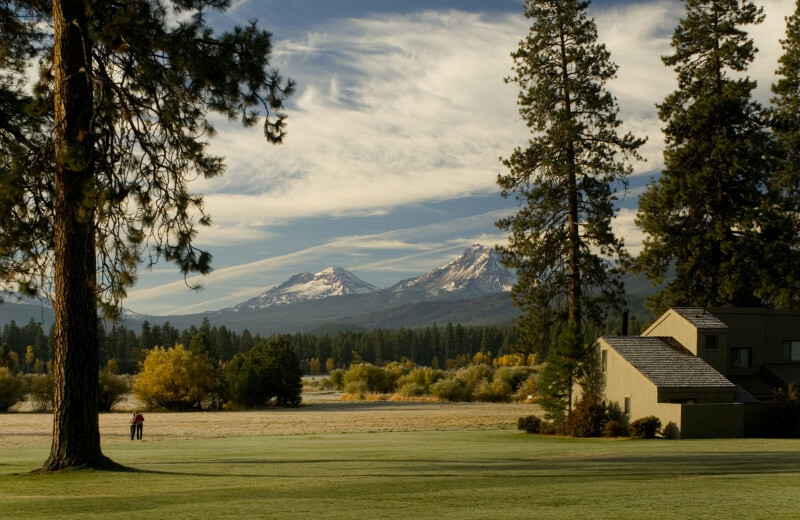 Once you're at Black Butte Ranch, you'll never have to leave the property. There's an onsite spa, recreation center, two championship golf courses, five swimming pools, plus more activities than you could ever imagine. And the dining is exceptional. Nearby is a variety of different outdoor activity options, including hiking, biking and horseback riding! You'll never have to leave the area during your next vacation. 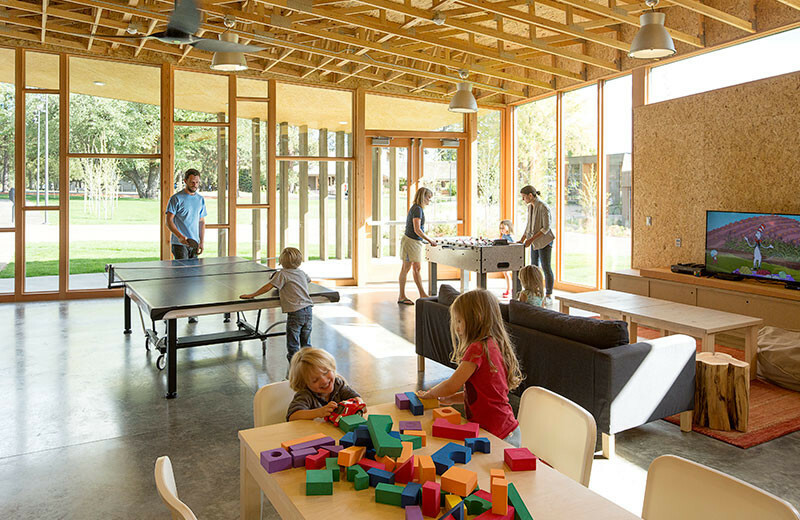 Black Butte Ranch is a special place for families. 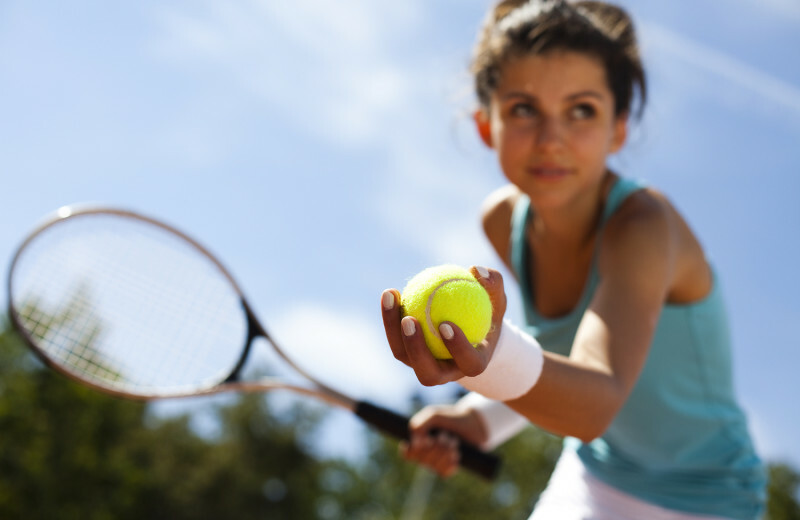 Even the most finicky kids will find activities that will keep them busy during your vacation. 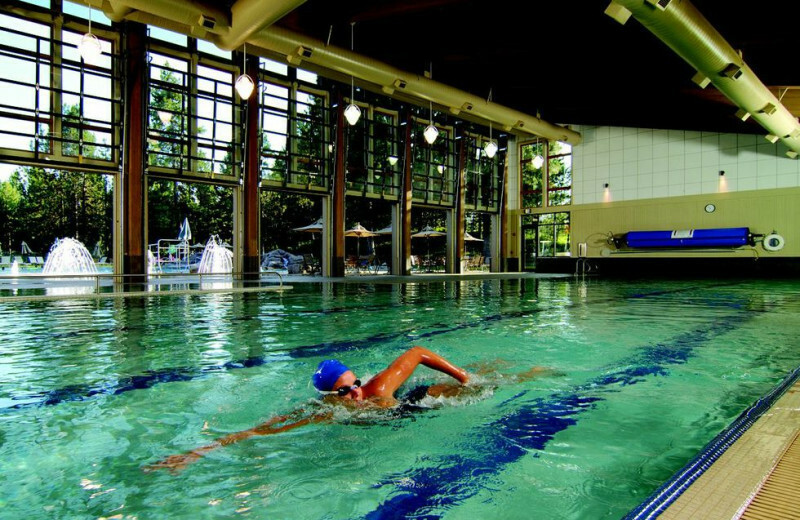 The ranch has five pools, a fun and interactive day camp, plus tons of great outdoor recreational opportunities. Go on a scenic family bike ride or whitewater rafting adventure! Get ready for 36 holes of championship golf! 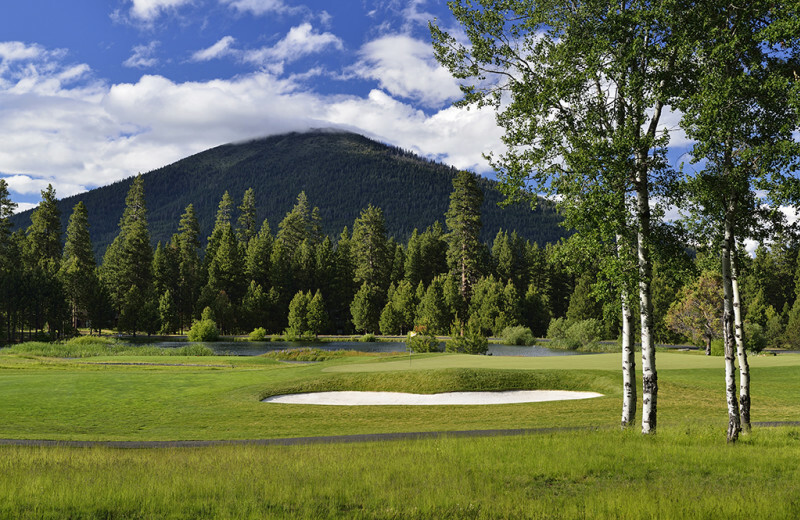 Black Butte Ranch has two beautiful mountain courses, including the newly opened Glaze Meadow Golf Course. This course has been completely redesigned for a golf experience unlike any other. Call the Pro Shop to setup tee times. Great golf packages are available to help make this championship experience a little more affordable! 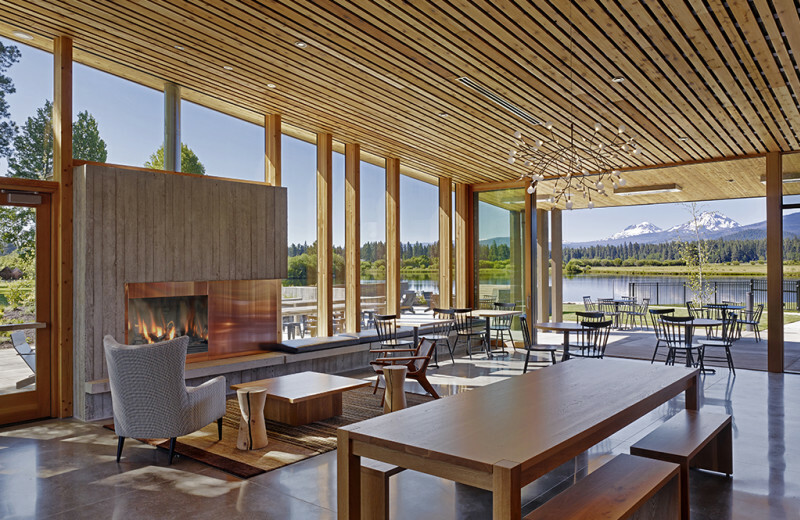 Book an intimate corporate retreat, business meeting, or team building event at Black Butte Ranch! This refreshing escape is sure to breathe some life and inspiration into every one of your team members. 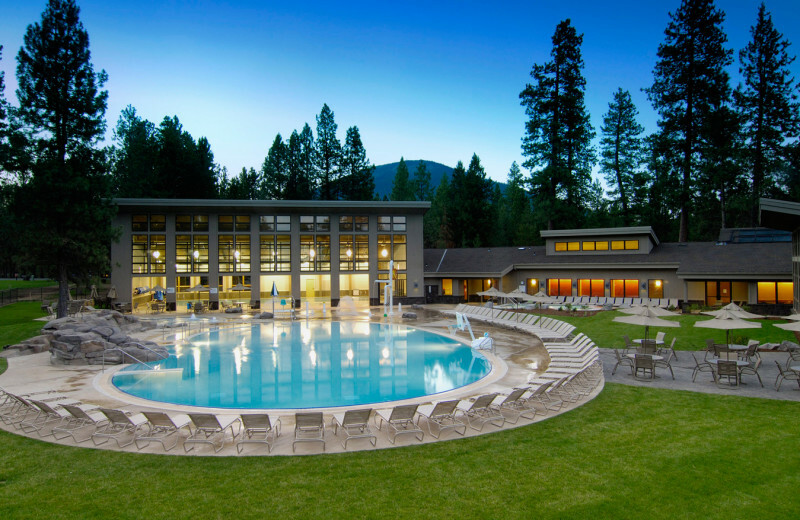 From fun group activities such as horseback riding and kayaking to simply relaxing out by the onsite pools or indulging in a delicious meal, Black Butte Ranch offers everything you need for a fun-filled escape! 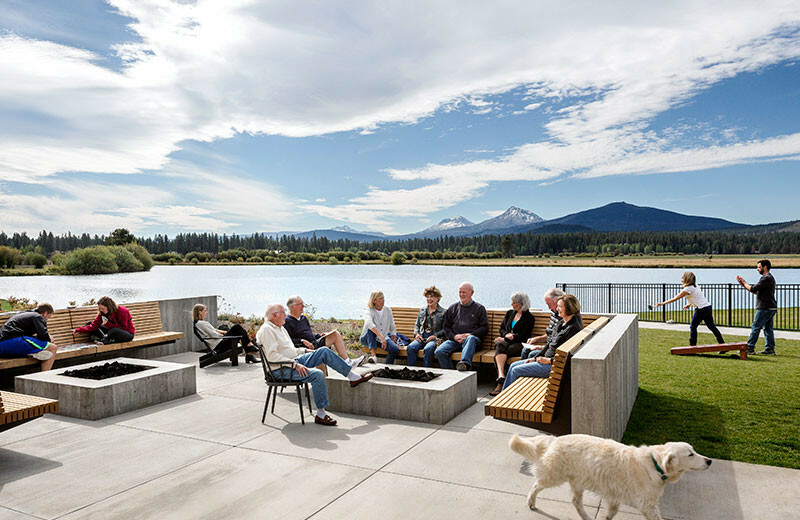 Family reunions can be difficult to plan, but Black Butte Ranch makes it easy so that all you have to focus on is reconnecting! 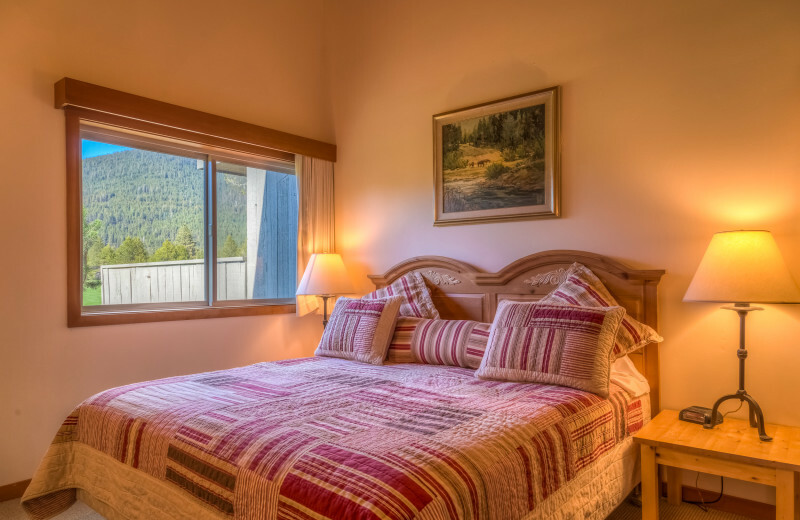 With their cozy lodging options, accommodating the whole family is no trouble, and their modern amenities such as full kitchens and televisions ensure everyone will have a comfortable stay. 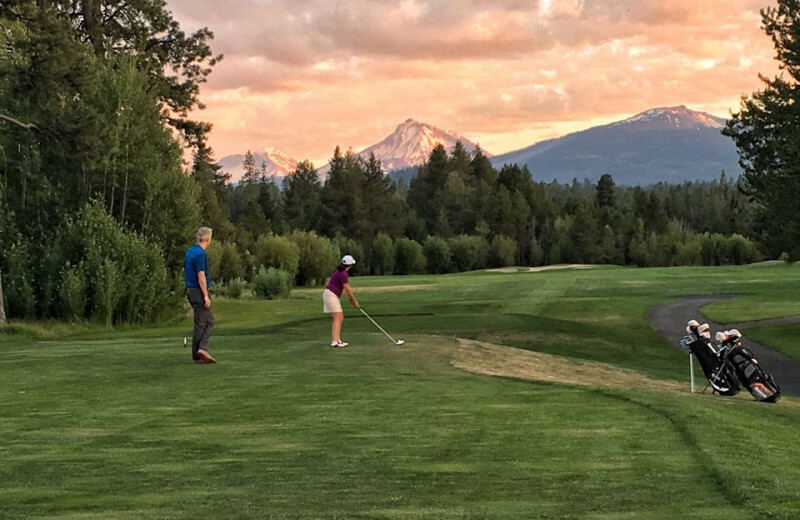 When it comes to fun, Black Butte Ranch has you covered as well. 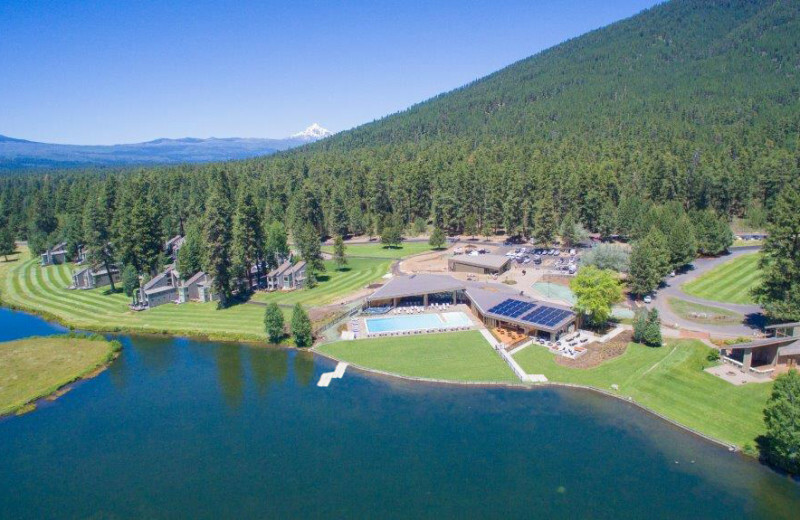 From five onsite swimming pools to 18 miles of biking trails to horseback riding lessons for both kids and adults, there's not a dull moment at Black Butte Ranch! So gather up your cousins, siblings, aunts and uncles for an unforgettable time! Your wedding day is meant to be special and unforgettable. 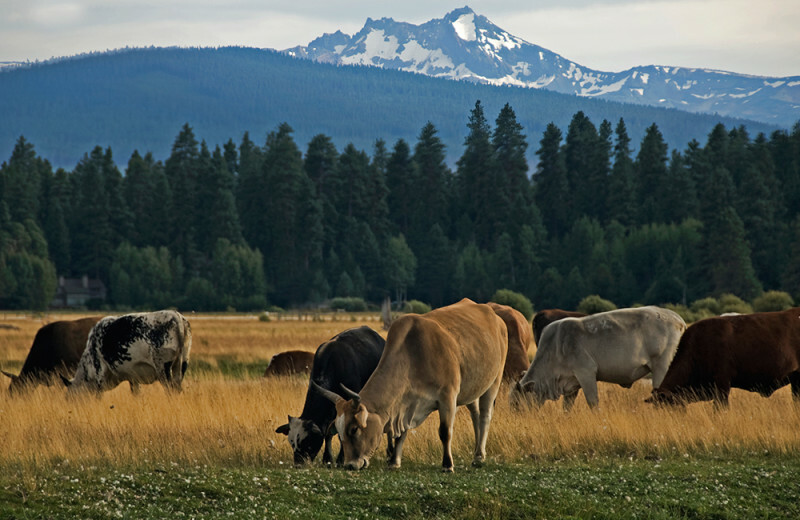 Black Butte Ranch offers everything you need to make it so - plus a whole lot more. 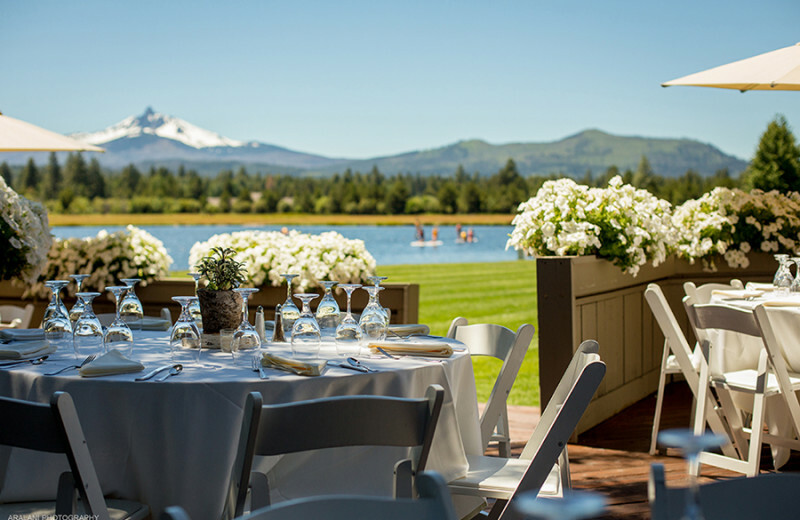 Set amongst the stunning natural Oregon beauty, Black Butte Ranch will enchant you and all your guests from the moment you arrive. You'll love their elegant ceremony and reception venues, charming accommodations for you and your guests, and a professional staff that will assist in all the details to make your big day truly memorable. Inquire today! 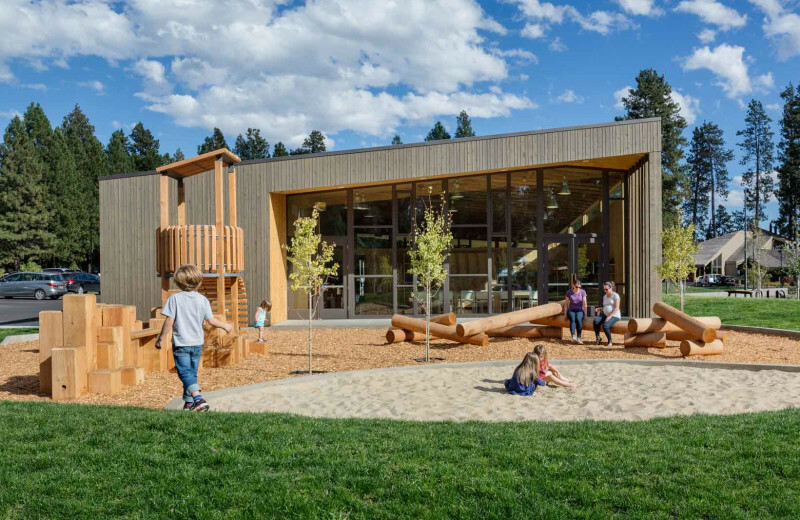 Outdoor recreation abounds in this Central Oregon destination. Get outside and breathe the fresh air! Horseback riding, hiking and cycling are great ways to tour the area. If you're looking for adventure, go on a whitewater rafting trip! 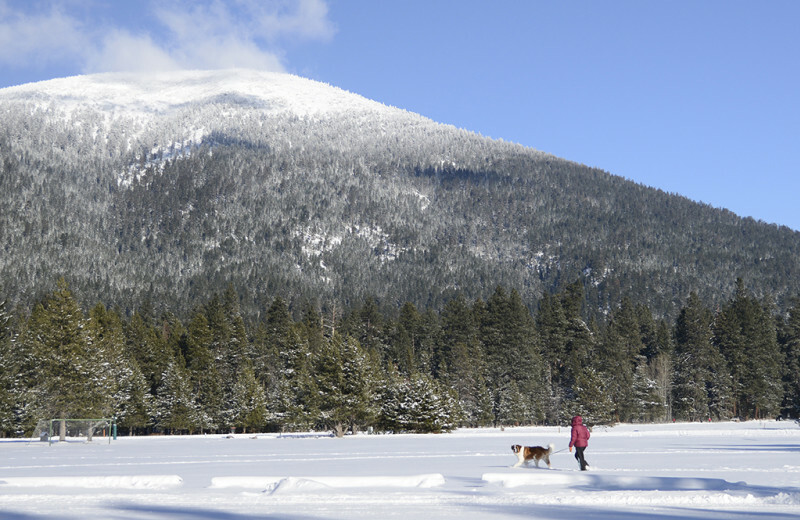 With skiing and snowshoeing, there's no shortage of fun in the winter months. 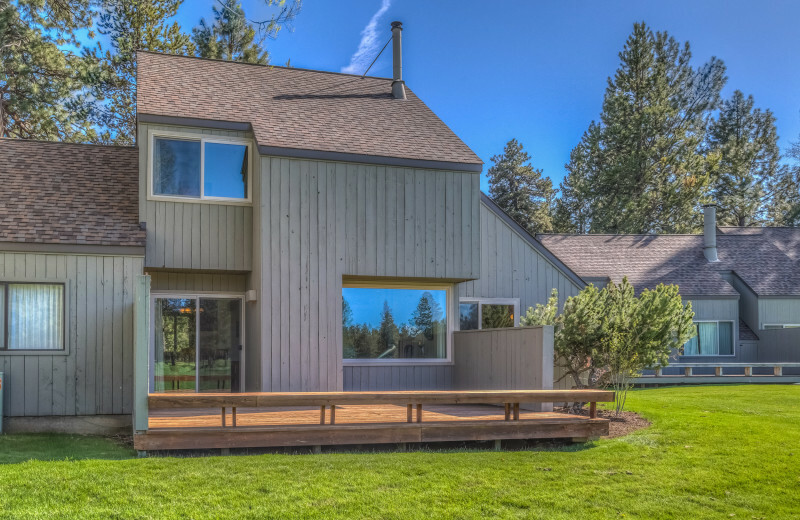 Fishing enthusiasts of all ages will fall in love with the options that await at Black Butte Ranch! During the summer, the ranch offers free fly-fishing clinics with The Fly Fisher's Place. 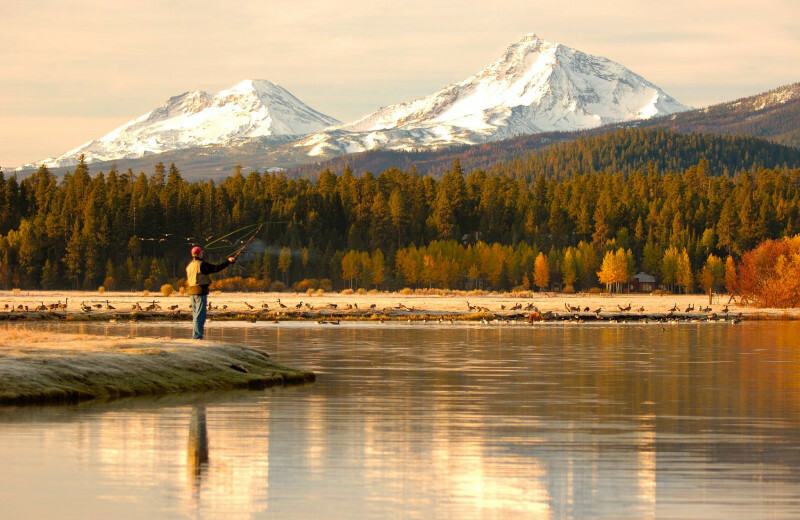 Phalarope Lake and Metolius River are the perfect destinations for fly-fishing in the area, and you'll be sure to catch your goal of trout and more during your stay! 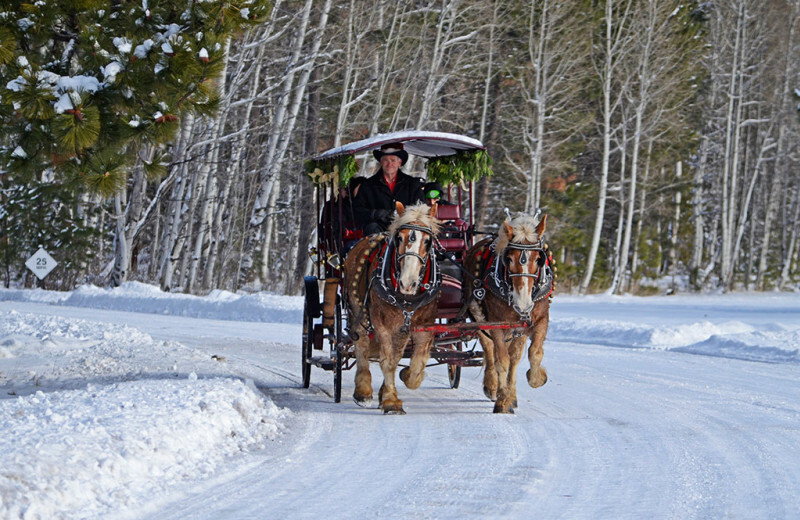 Romance is never out of season at Black Butte Ranch. The mountains and nature are the perfect back drop for a romantic rendez-vous. 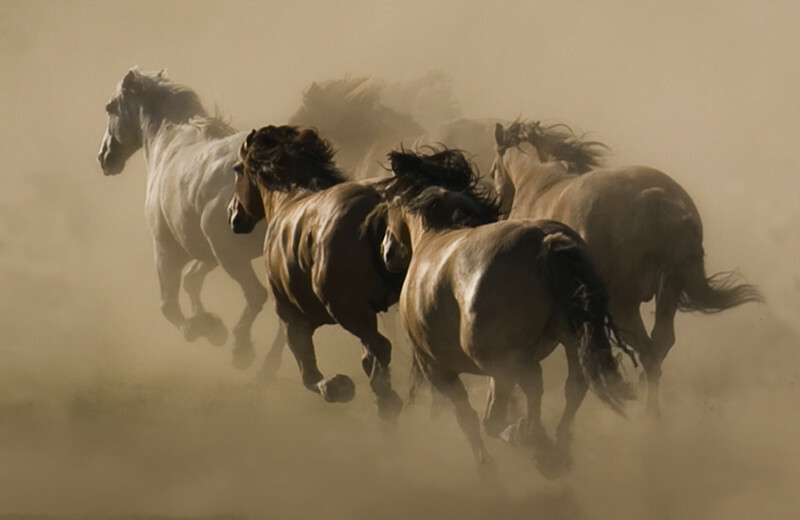 Ride horses up to the mountain and across lush grass prairies. Relax in your cozy room by the real wood burning fireplace. 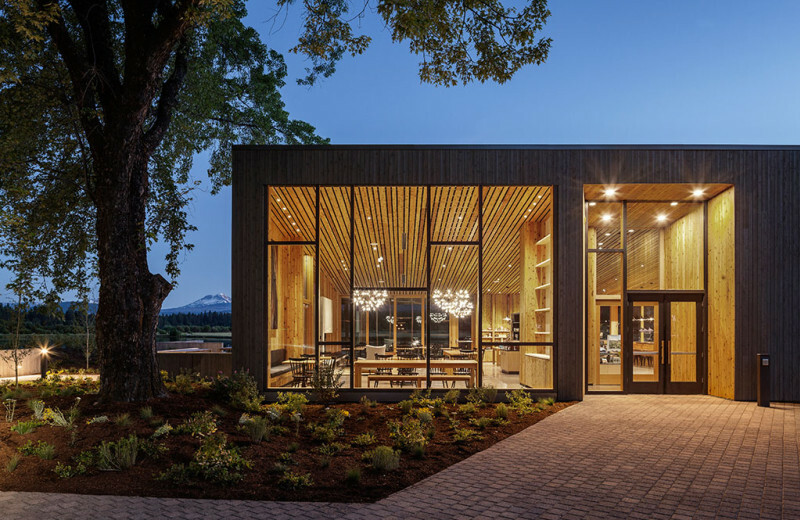 The highly respected Sisters dining chefs, Dean Ecker and Adam Kapela, not only bring the authentic flavors of the Pacific Northwest to life, but also deliver a true farm-to-table culinary experience. 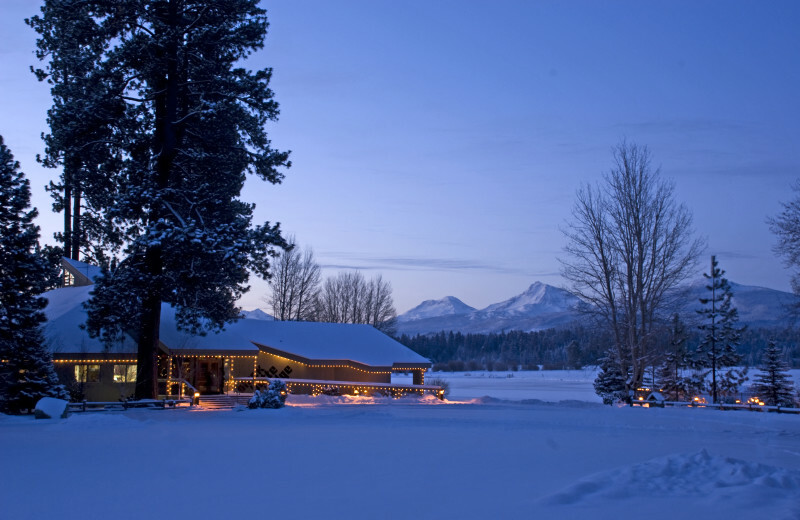 Get away at Black Butte Ranch this winter and enjoy great adventures in the beautiful Oregon surroundings. 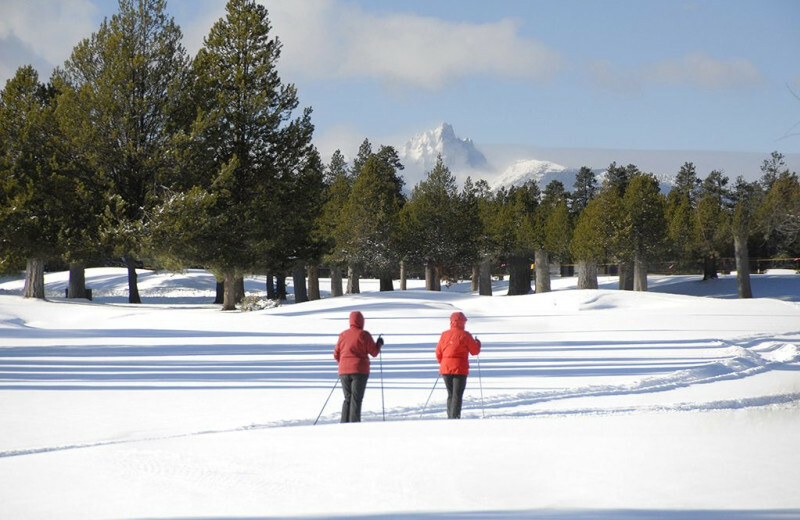 Cross-country skiing trails are available at the Big Meadow Golf Course and the Glaze Meadow Recreation Center. If you're interested in more skiing options, head to the Ray Benson Snopark or the Hoodoo Ski Area; snopark permits are required and you can purchase passes at the Glaze Meadow Sports Shop or the Black Butte Ranch Welcome Center! 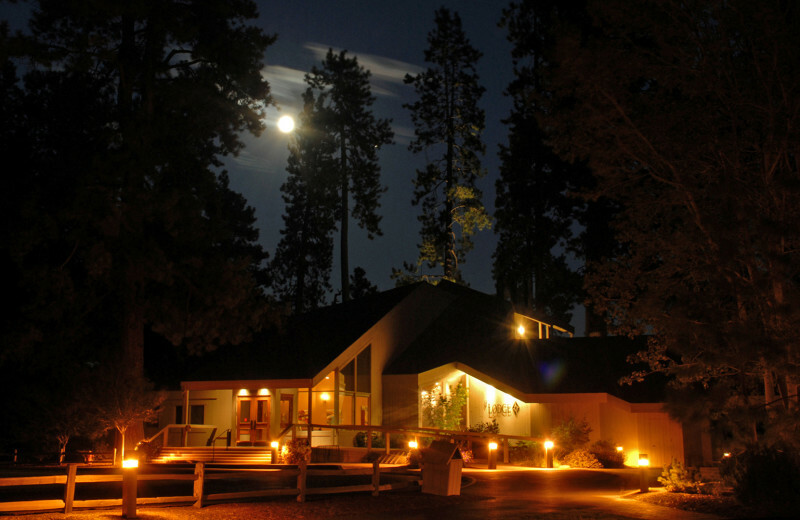 Black Butte Ranch offers pet-friendly accommodations so you don't have to leave anyone in the family behind. Their Snow Dog package waives the pet cleaning fee, so there's no excuse not to bring along your furry companion! 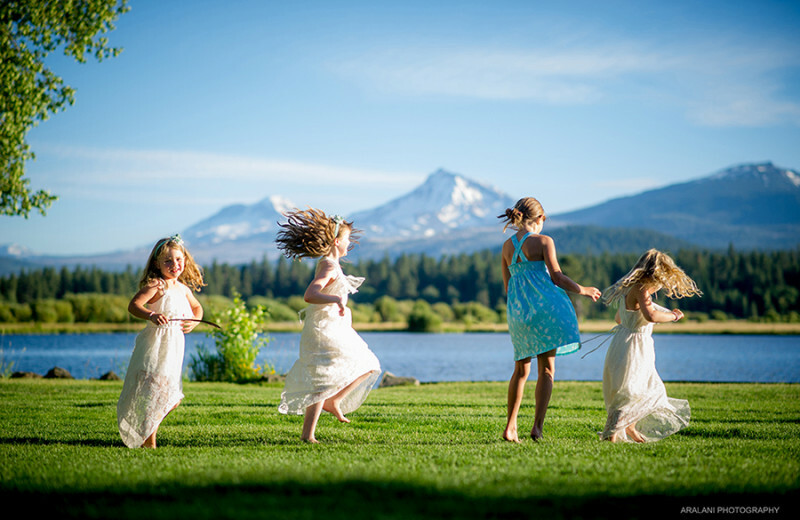 Black Butte Ranch recognizes the importance of having the 'entire' family with you during your getaway. 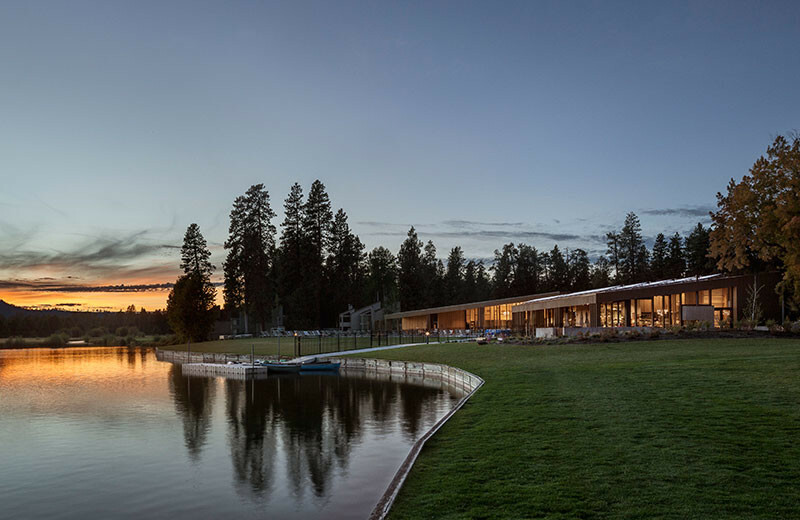 Everything you could ever ask for in a vacation is waiting for you right here at Black Butte Ranch.There's an onsite spa, recreation center, two championship golf courses, five swimming pools, plus more activities than you could ever imagine. And the dining is exceptional. You're comfortable accommodations are the cherry on top of your vacation sundae. 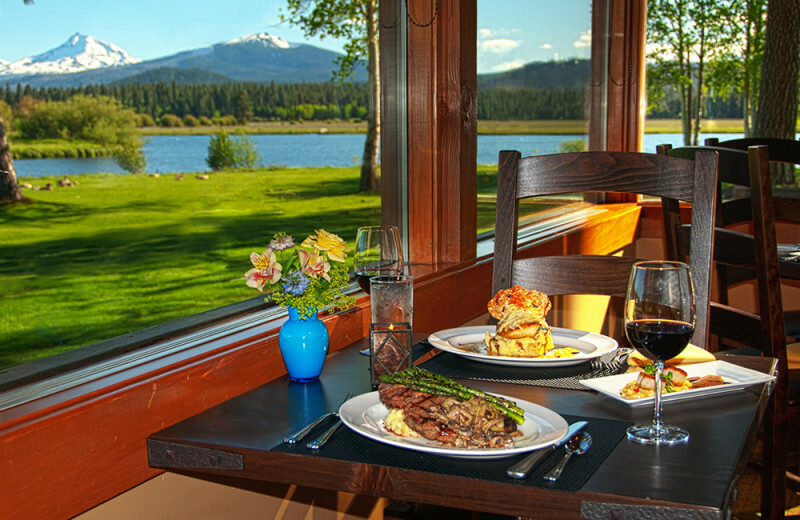 Black Butte Ranch rests at the base of Black Butte Mountain, offering you delightful views and a refreshing mountain atmosphere during your stay. Enjoy horseback riding through the foothills, or go out on a hike! The beautiful mountain setting is also ideal for group vacations and weddings! 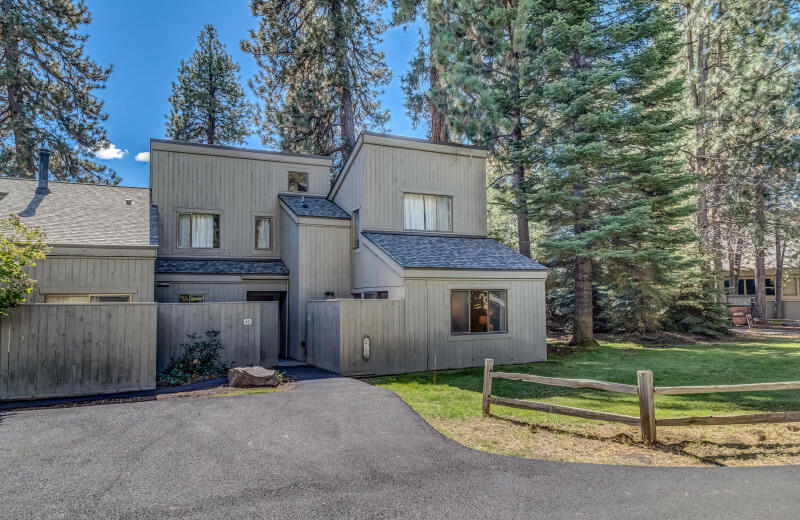 Located just minutes from the beautiful Phalarope Lake, Black Butte is a beautiful place to take your family and vacation by the water. The kids are sure to enjoy making a splash as they swim in the waters, or building sandcastles on the shore. Kayaking and canoeing are great options too; the ranch offers rentals at the Rec Barn, so stop on by and grab your gear! 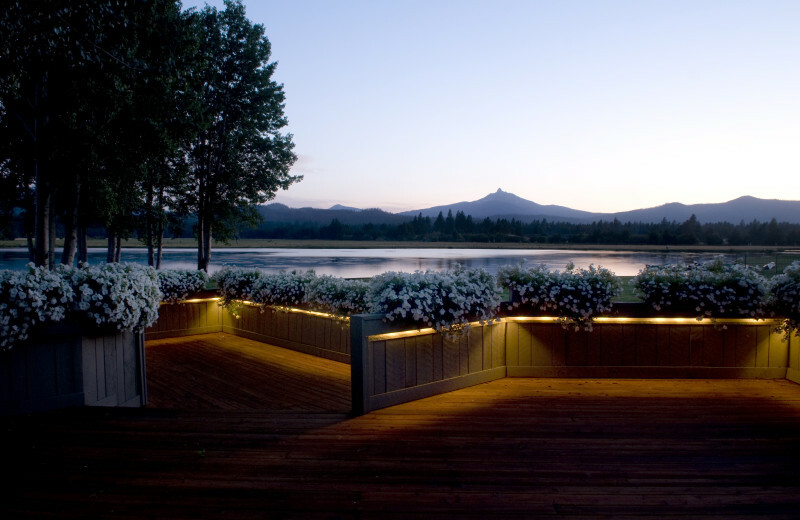 Black Butte is an amazing place for an Oregon Honeymoon. 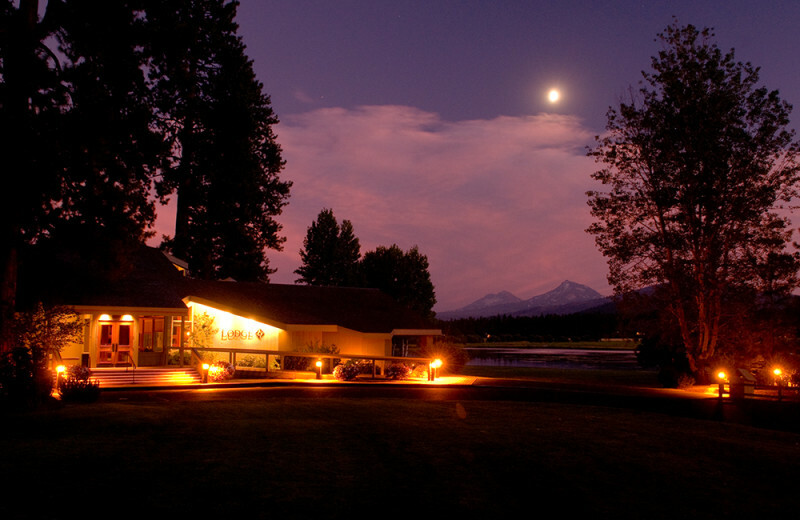 The location is beautiful and is the perfect venue to get away for a full week in the beauty of the northwest. 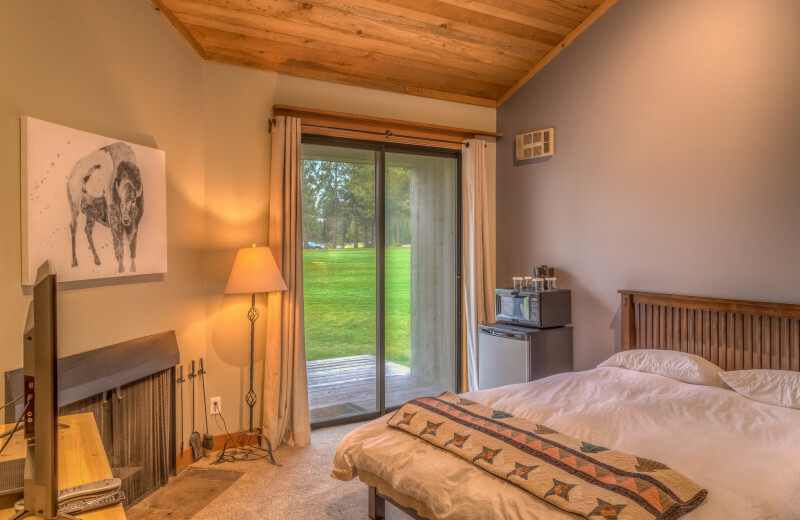 If you're looking for a quick Romantic getaway, try a mini-moon for a couple nights and you're sure to be rewarded with a relaxing, renewal of the mind and spirit! 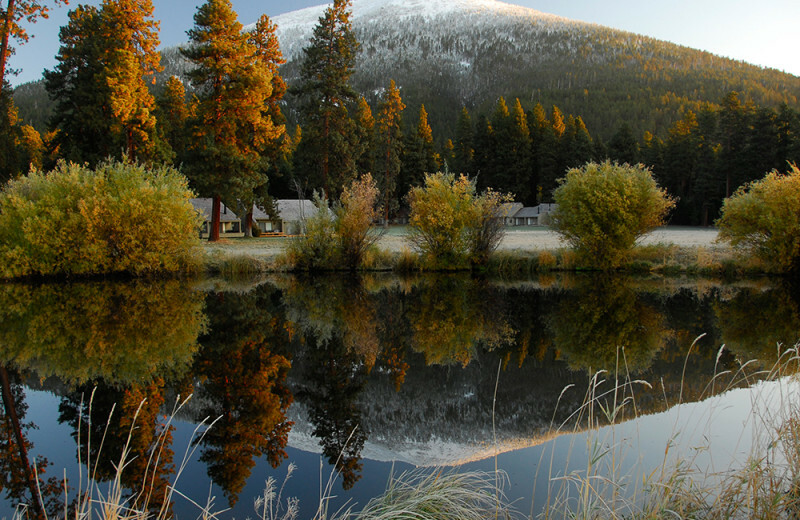 Black Butte is a perfect destination for rejuvenation. 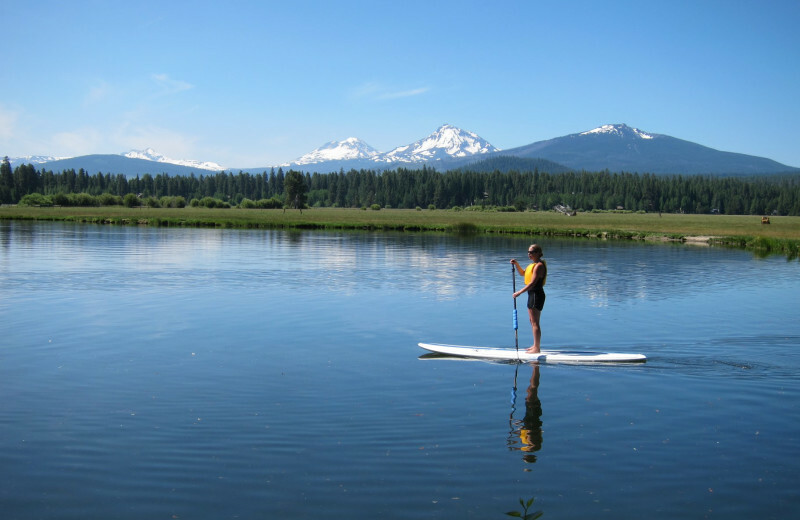 Enjoy the fresh air by biking, hiking and horseback riding in Oregon! After a day filled with activity, treat your body to a treatment at the onsite spa! 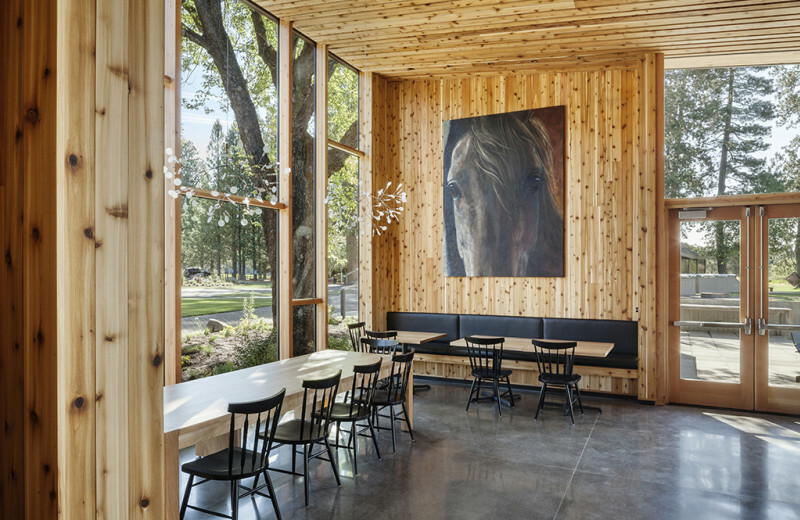 You'll feel like a brand new person after your next vacation to Black Butte Resort. 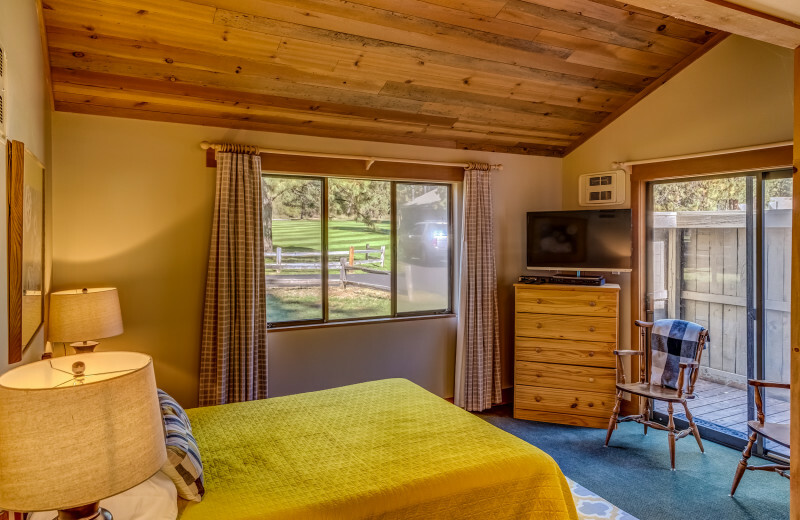 The vacation homes and cabins at Black Butte Ranch will satisfy even the most discriminating vacationer. Signature homes are the most luxurious, featuring top of the line features and amenities. There are also more affordable Executive and Quality rentals. 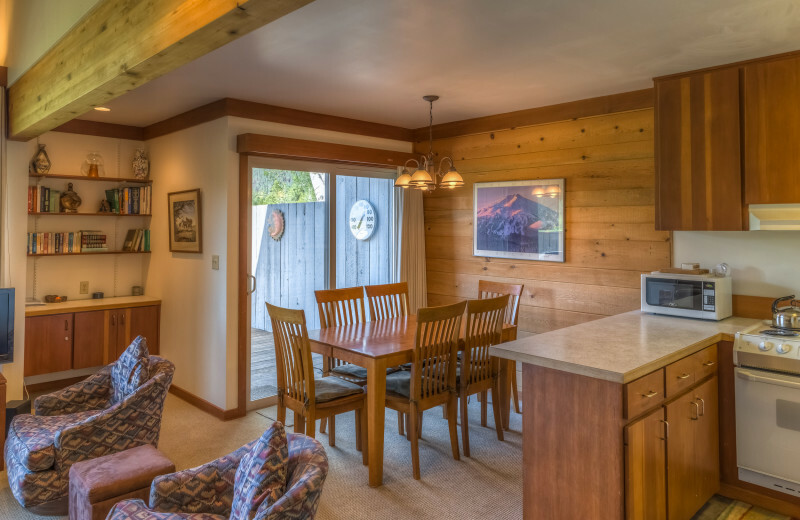 All of these lodging options come fully equipped and have kitchens. 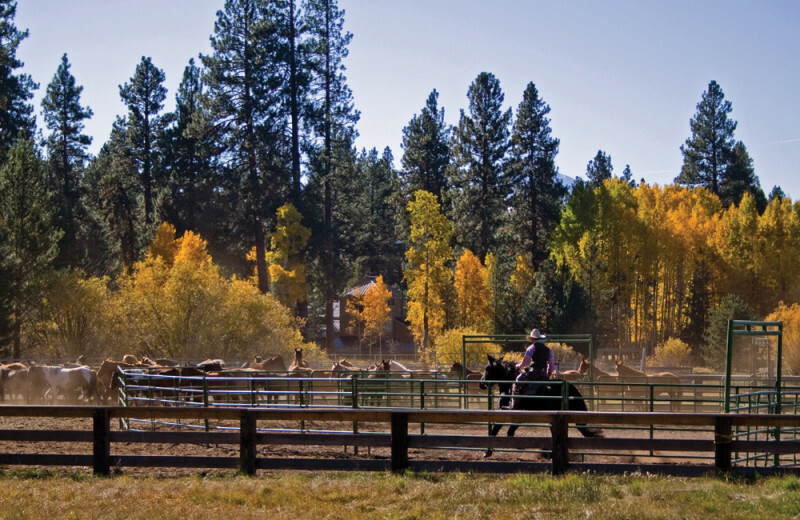 Black Butte Ranch presents a ranch experience that is unlike any other. 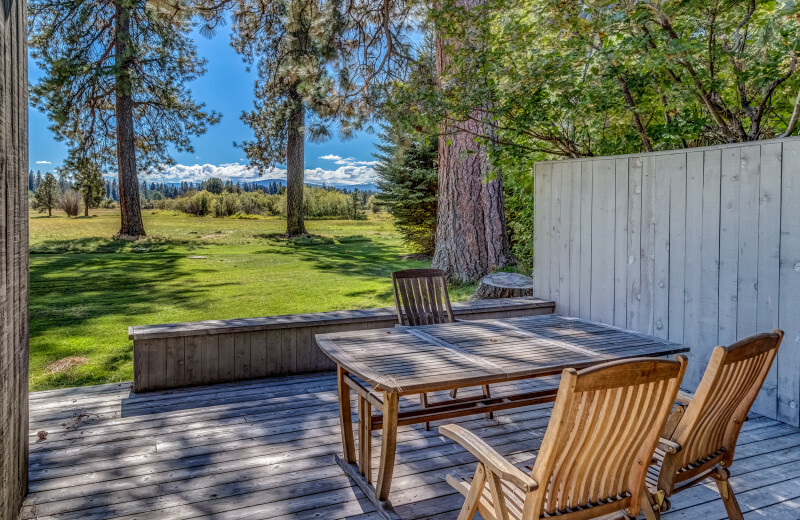 Here, you'll find 1,800 acres of stunning Oregon wilderness and incredible views of the Cascade Mountains, as well as a wide variety of activities to make your ranch vacation unforgettable. Black Butte Ranch's professional wranglers will help you learn how to ride and take you out on guided trail rides through the beautiful high meadows! For your next holiday vacation, come to a place that has everything you could ever ask for in a vacation! 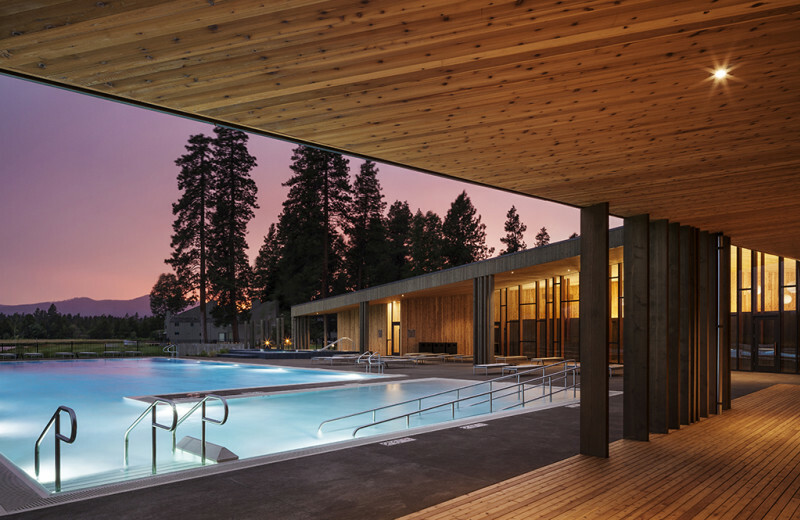 There's an onsite spa, recreation center, two championship golf courses, five swimming pools, plus more activities than you could ever imagine. And the dining is exceptional. No matter what time of year you come, winter or summer, spring or fall, this is the perfect holiday destination. 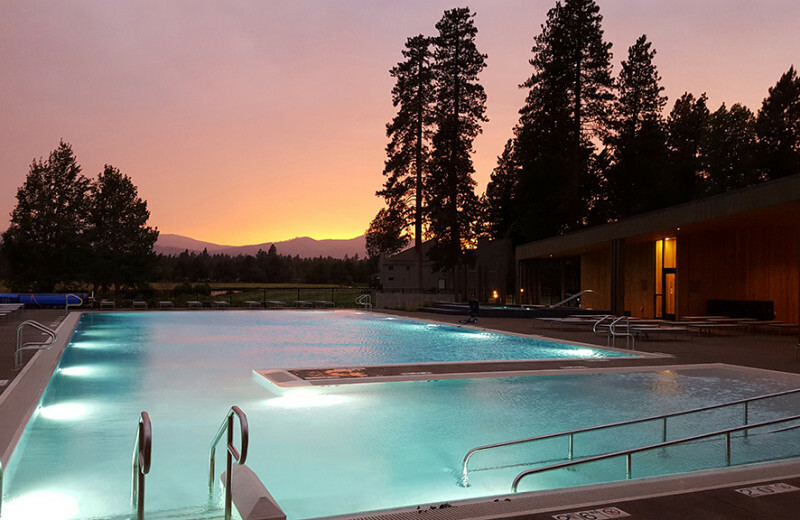 The spa at Black Butte Ranch is home to some of Central Oregon's best massage therapists and estheticians who will provide you with the finest treatments available. 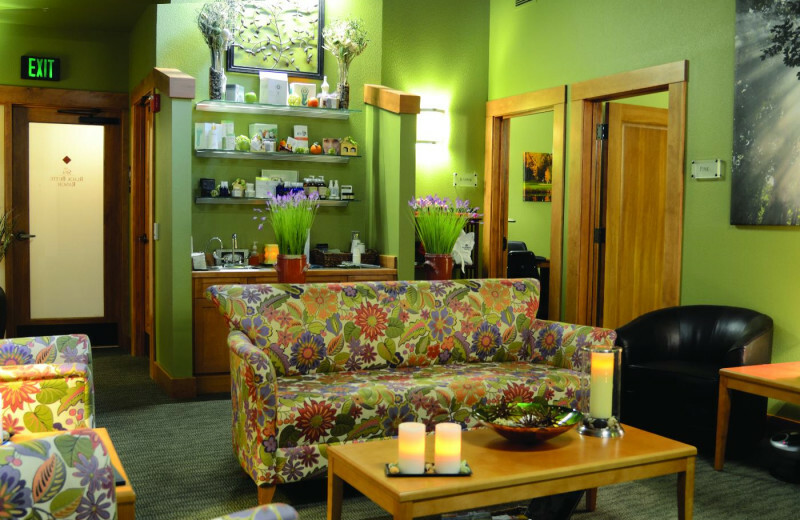 Indulge in a rejuvenating massage, facial or manicure, and pedicure. There are special treatments for men and great spa packages are available! 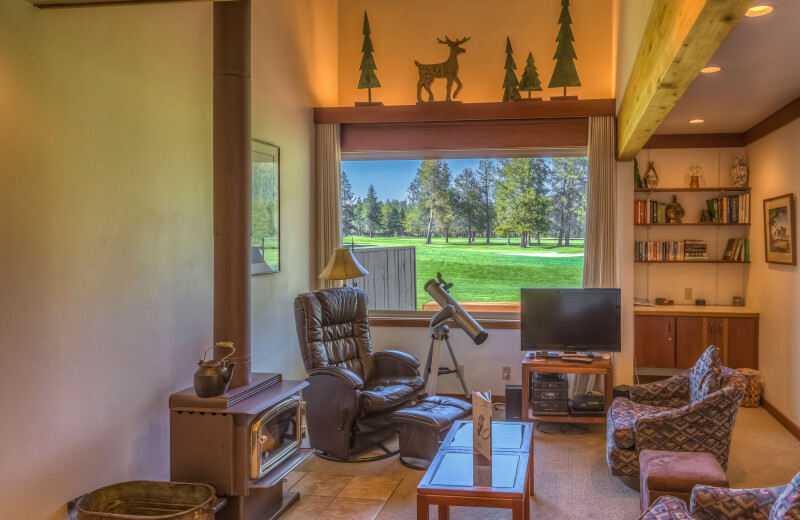 Every condo at Black Butte Ranch is privately owned and professionally managed. They come in a variety of categories, from Quality to Signature. So whether you're looking for something standard and affordable or lavish and luxurious, you'll find a condo to fit your needs. Every unit is fully functional & has great features. 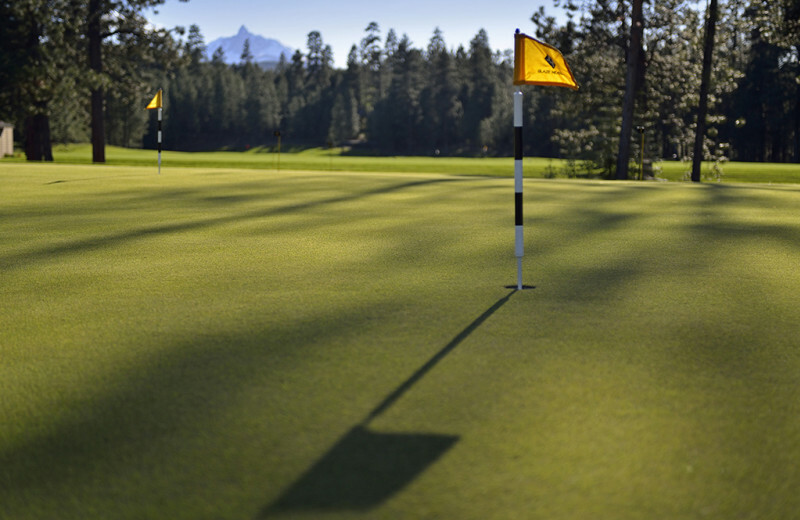 Plan your next group event at Black Butte Ranch. For more information please call +1 (888) 405 - 3004 or Send Inquiry. This property is ranked number 1 on Top West Coast Golf Vacations . Read about it here.